It is with the saddest of hearts that we have just learned that legendary drummer D.J. Fontana, longtime drummer for Elvis Presley, has passed away at the age of 87. The news was broken late last night by his son David in a brief Facebook statement. As of right now, we do not know the cause of death, but as stated in David’s Facebook statement, he was “very comfortable with no pain”. Born March 15, 1931, Dominic Joseph Fontana got his start as an in-house drummer for Louisiana Hayride, a country radio station turned television show, on their Saturday night broadcast which is also where he was first noticed by Elvis Presley whom hired him soon after. D.J. Fontana’s remarkable 14-year tenure as a drummer for Elvis Presley included drum work for some Elvis’ most iconic songs such as “Hound Dog”, “Heartbreak Hotel”, “Jailhouse Rock”, and “Don’t Be Cruel” just to name a few. To this day, he is regarded as Elvis’ most important drummer and even in death he will be remembered as one of music’s most important percussionists. 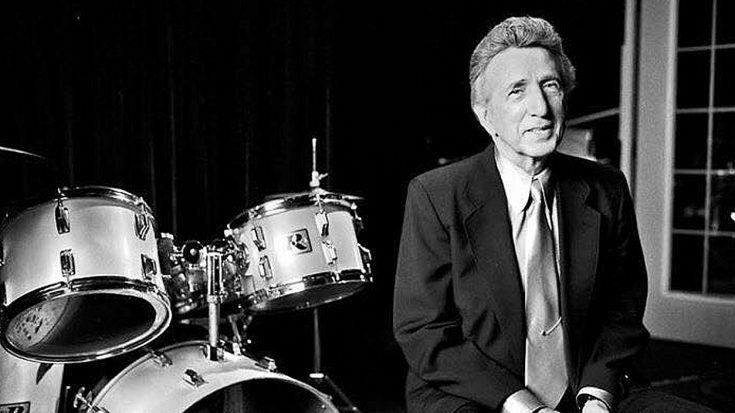 We are extremely saddened to hear about the passing of legendary drummer D.J. Fontana. The band is all back together now? I’m so saddened by the news of DJ Fontana’s passing. DJ was Elvis’ drummer in the earlier years on some of my favorite rock n roll songs like “Blue Suede Shoes,” “Return to Sender,” and so many more… I had the pleasure of working with @shanahanphoto on a photo shoot with DJ and his Gretsch drum kit from his touring days with Elvis, and the stories and memories DJ shared are sentiments I will never forget. It simply goes without saying that Fontana was, is, and always will be a pillar in the world of music. Simply put, he kept the meter for a man who helped reshape music, as we know it today and remained incredibly influential throughout his entire career and always will. Our thoughts and prayers go out to all of his family, friends, and fans during this difficult time. RIP D.J. Fontana. You will be forever missed.